This morning I decided to whip out my phone and check out some new questions on the main site through my mobile app. 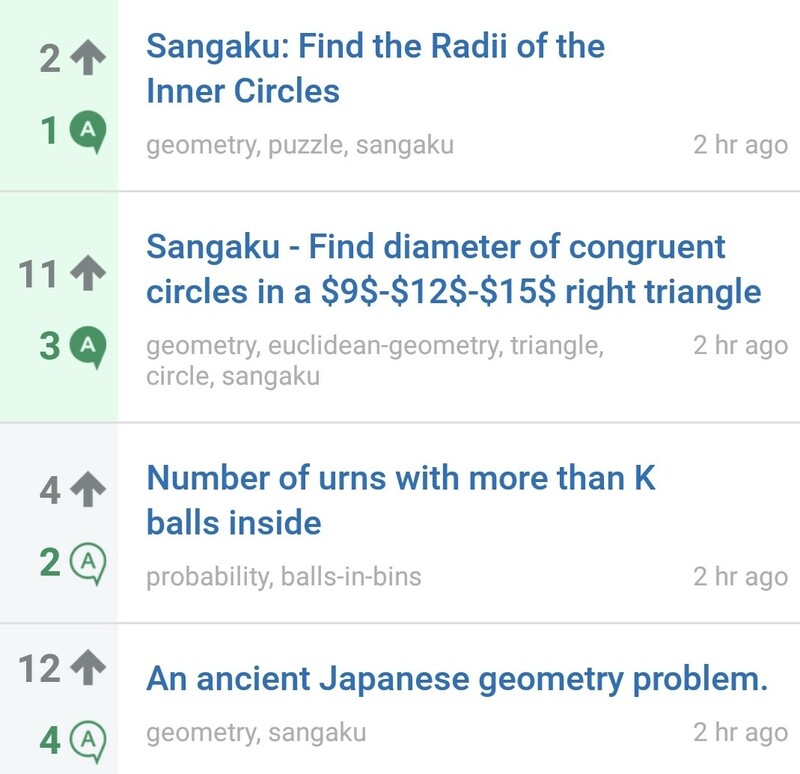 To my surprise, I saw 8 questions, titled or labelled as "sangaku" geometry problems, in a row on the front page. Furthermore, they were all edited $2$ hours ago. They were posted by different users across varying reps (so, unlikely to be one person behind different accounts). Most have a similar number of upvotes (~10). Can this be a coincidence? 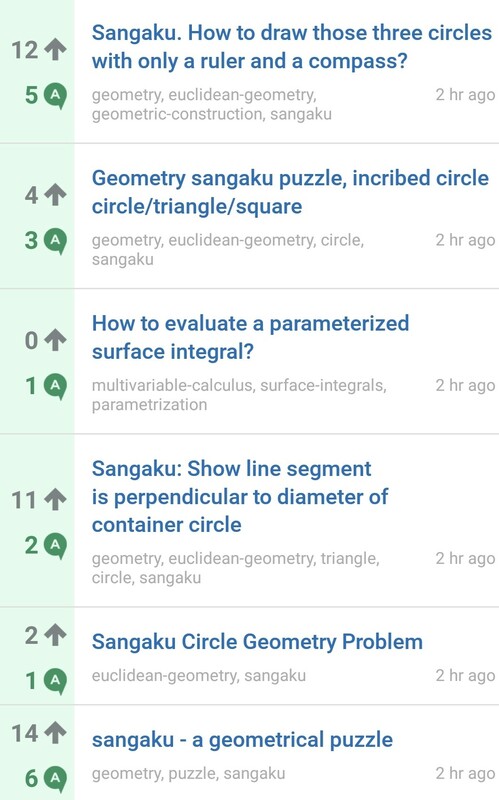 A user created the sangaku tag then edited ten questions to include that tag, all in a short span of time. The user then created descriptions for that tag. As has been pointed out in the comments below, some users consider very inappropriate the editing of many old questions in a very short span of time, and some consider very inappropriate the addition of a newly created tag to many questions without first seeking community input. I did this. Sorry if this was inapproriate. I know it's not a good idea to edit many questions in a short time span, but I thought 10 was acceptable. With regard to the tag creation, however, I was not aware that it's inappropriate. I'll take note of the various opinions expressed here, for the next time I have such an idea. Note that (I believe) it was my first tag creation. Also, it may be worth telling it, even though you are not forced to trust me: I have one account, and I am not related to any of these questions. I didn't check but I believe I didn't post any answer nor comment anything in them (appart from a comment today about a dead link). If some have many upvotes, my guess would be that it's because they are visually appealing puzzles, related to a fascinating tradition.